This is a themed paged for classic anime style hair. 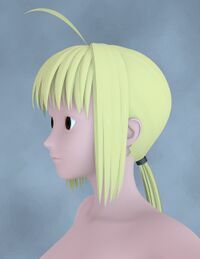 This type of hair would not typically have transparency, similar to the Saber hair pictured to the right. This page was last edited on 9 June 2018, at 18:11.